Donald Trump’s Reddit fans are a bit peeved after someone turned their crusty little subreddit page into a haven for all things Donald Glover—the one true Donald, according to Glover’s fans. 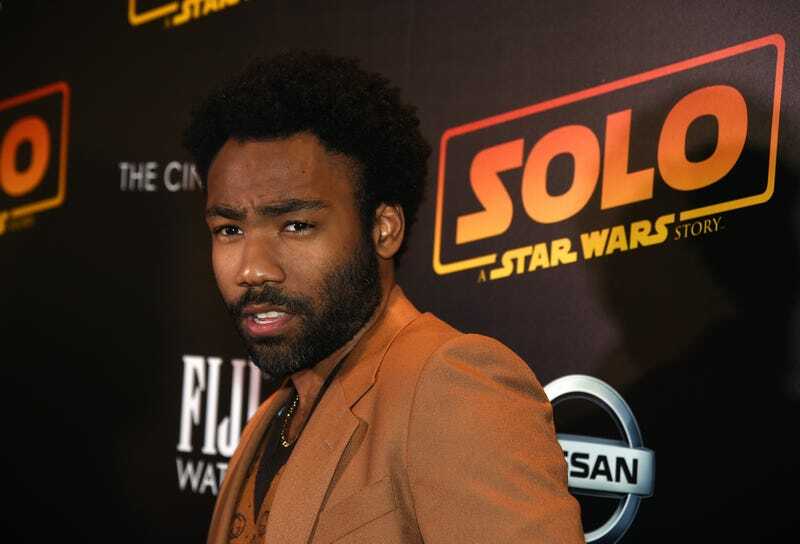 Glover’s fans took over thedonald subreddit page and saturated the page with photos of the newly minted Lando Calrissian. “The sub has embraced its true purpose, celebrating the best Donald there is. He’s beautiful. He’s talented. He don’t talk soft (that’s that other guy). He’s crass. He says whats on his mind. He rose from practically nothing. The great Don Glover. Amen,” one Reddit user wrote. r/thedonald - Proof the Donald colluded with Palestine. Of course not everyone is happy about the takeover; there were those who called the new arrivals “libartards” and “snowflakes,” and hoped that the original mod returned. Welcome to Reddit, one of the weirdest places on the internet, second to Kinja, of course.